Taiwanese solar cell manufacturers have always been in a troublesome spot due to their lack of end customer touchpoints. 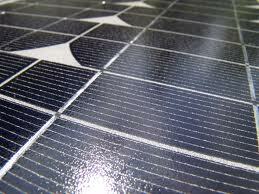 These companies which mostly make solar cells are known for their quality and scale. However, they remain dependent on solar panel makers for their sales as they do not have the sales and distribution networks of Tier 1 Chinese solar companies. In the last two years, the solar cell part of the supply chain has been pressured to lower prices as solar panel prices have come down sharply. Technology changes have also made it important for the companies to spend money to upgrade their equipment to PERC, mono and busbar technologies. However, prices have remained below costs for most of the time making most of them post huge losses. Some of these companies are not only losing money on the net margin level but also at the gross margin level. Another major Achilles heel of these companies is that they are now heavily dependent on Chinese companies for their demand. With most Western and Japanese solar panel companies closing down, these companies do not have any alternate sources of demand. In cases when demand slows down, the Chinese orders slow down disproportionately as the Tier 1 Chinese companies use their in-house capacities before outsourcing. Also, read about Rooftop Solar in Taiwan. Gintech, Motech, Tainergy, and NSP are now thinking of banding together in an alliance to survive the current downturn in prices. These companies are looking at the Taiwanese government to support them as these companies face inevitable bankruptcy. While the technology and scale of their key Chinese competitors are increasing day by day, these companies are stuck in a hard place. It is not certain how these companies coming together will help. Unless these companies come up with a major strategic overhaul, these face a bleak future. They may have to expand into module manufacturing and even wafer/poly play. They will also have to build large sales and distribution networks to be able to sell on a large scale in order to remain relevant.